This little function will attach or delete a new stylesheet to your html page using good old JS. The second parameter is optional so it will toggle on or off the stylesheet, depending on it's current setting. The function will return true or false (1 or 0), depending on weather the style is on or off. Enjoy! When you're working through some complex program logic, low level code like manipulating strings is a distraction to write and worse, when you come back to it six months later, it makes your code look long and daunting to get back into. With this in mind, I always try to wrap low level code in re-usable functions. Here's one such handy little function which works just like PHP's native str_repeat but it will include the iteration count in the string itself and do some cleaning at the end. This is perfect for generating numbered lists, sql queries and a bunch of other uses. Looping arrays is particularly useful for things like photo galleries and other iterative processes where you want the "next photo" button on a gallery to continue from the beginning of the album after the user passes the last photo. This is great. Adobe have never bothered to provide thumbnail support for windows machines. I dont know if this is because they are technically incompetent, lazy or they are just trying to promote their bloated Adobe Bridge viewer application. Either way, as you can probably tell from the tone, it bugs me. Users have been screaming for this no-brainer feature since photoshop first arrived on the windows platform in 1992. Yes that's 20 years ago. Anyway, I've been applying registry hacks and messing with dlls for years to get thumbnails going in windows explorer but I finally found this tool today which is a quick and simple solution that claims to work across all versions of both windows and Adobe CS. The installer below makes windows automatically load thumbs for all versions of Photoshop and Illustrator in the normal windows folder view. This method is completely standalone and does not require jQuery or any other plugin or library. It has been tested and works in latest versions of all browsers. I got a tip today from a friend of mine working in Google. A server error occurred during the registration of my new domain and I was left with no gApps and no tech support (anyone on gApps standard will notice there is absolutely no way to contact anyone remotely related to a google employee). AS3: Simple, Powerful String Find & Replace all instances function for Flash Actionscript. Similar to PHP's str_replace replacement. OK here we go - I looked everywhere for this one but only found bits of code from various forums and blogs that were part of classes and packages and as such, full of dependent variables. Anyway, after a bit of advice from the very helpful community at StackOverflow and a bit of tinkering, she's up and running! The function below will rotate a DisplayObject around any point on a 2D or 3D plane. This is particularly useful for rotating around an object's center point so this is the default behaviour. Enjoy! This was a head wrecker and took me most of the day today. Actionscript does not see Movie Clips as we do and considers invisible content to be part of the MC. As such, when you try to resize an MC that contains masked content which extends beyond what we consider to be the edges of the MovieClip, flash makes a balls of it. Full functions with details and comments below. Yes, you can check your visitor's browser using PHP! What's more, it never goes out of date! It automatically updates to recognise the lastest browsers. As much as I'd like to, I can't take credit for this one - it's the work of Jonathan Stoppani and makes browser sniffing with PHP an absolute breeze. This class (named Browscap) is a great alternative to PHP's native get_broswer function which requires manual regular updating of a browser.ini definitions file. Instead, Browscap intermittently imports the latest browser definitions from browserproject.com so that your scripts are always up to speed with the latest browser information. This function simply targets an iframe or frameset and retrieves or changes it's src or href attribute. I wrote this little function today to add HTML style padding to a Flash MovieClip. It took a lot of testing to get working but it's actually very straight forward and quite a handy one to have in your function arsenal. I wrote this function on the back of my Actionscript version to calculate the output size of an image. If you only have a certain amount of space available in your page layout and you need to dynamically display an image that you don't know the size of, then this function is for you. You simply specify how much space you have and the function will calculate the new size of the image proportionately and (optionally) return the html img tag for the browser. Sounds simple but it's incredibly useful and a lot easier than coding this each time you have need. Do files exist in both directories? Were they both modified at the same time? Theres a few of these functions around but none (that I could find) will allow you to trim non whitespace characters so I pulled this one together which lets you trim any character you want. trace(trim(";A test;;", ";"));    //outputs: "A test"
I found myself often needing to resize images to fit different spaces using actionscript so I wrote this handy function a while back. It allows you to quickly resize the image proportionally to fit your needs and doesn't require much thought. See usage examples below and you'll see what I mean. This incredibly simple tool takes 5 minutes to set up and allows you to run mySQL queries and return results to flash using Actionscript 2 just as you can in PHP or any other language. Just 3 lines at the top of your flash document make mySQL queries a single function call away. You can loop through the results, trace them all to the output panel and even display them in a datagrid (a flash table) on the stage. This class (not really a class but thought the keyword "class" might help people searching for stuff like this) contains a function which can be fed a mySQL query and a filename. The query is run and the results are saved to a CSV file. There is also a function to import the CSV file back into a database. 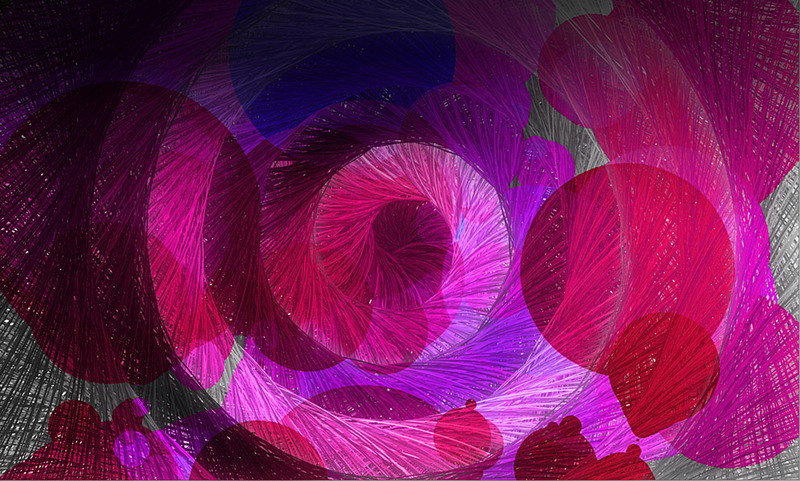 The banner image for this blog was my my first attempt at generating something pretty using Flash Actionscript. I later did a few more experiments and generated the image in the background of this blog too.